MicroNeedling The Woodlands, or Collagen Induction Therapy (CIT), gives similar results to a fractional laser, IPL, and chemical peels, without pain, downtime, expense, and heat damage. After a treatment, you can quickly see some improvement. You’ll see more results after two to three treatments about one to two weeks apart. Collagen production takes place over time, so your skin will continue to improve for the next six to twelve months, with a proper skin care regimen. The number of your MicroNeedling sessions will depend on your condition. Acne: expect six to eight sessions for acne, a week to 15 days apart. 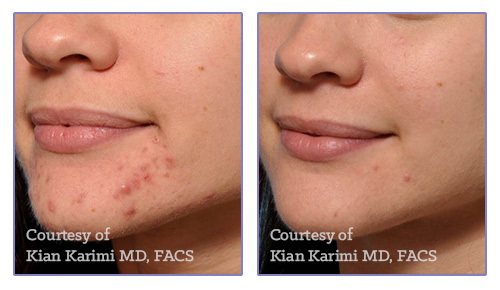 Acne scars may need up to ten sessions, also a week to 15 days apart. Lessening pigmentation may need from five to eight sessions, spaced only a week apart. Lifting and improving thin wrinkles may need five to eight sessions, spaced from a week to 15 days apart. Hair may need ten to fifteen treatments, spaced a week apart. Your treatments will be scheduled during your free consultation. Running the CosmoPen over your skin creates tiny “micro-channels.” These allow solutions to move into deep layers of your skin for the best effect. Microneedling stimulates your skin’s natural ability to make new collagen and elastin, creating healthier skin. Your skin plumps and thickens in response to the treatment, reducing the appearance of scars, fine lines, and other skin texture changes. CosmoPen treatment with filler or botox injections must be delayed at least four days after the injections. Post-treatment bruising must settle before microneedling treatments. To learn whether microneedling is right for you, call now for a free consult with Dr. Nangrani at Vedas. You are our top priority here at Vedas, in The Woodlands, Texas. Our North Houston office is only 10 minutes from I45 and a step off The Woodlands Parkway. We offer a free consult to our clients for personalized information on microneedling. Come in get acquainted with our board-certified Medical Director. Dr. Nangrani has practiced for over 15 years. Please call our office to schedule your consultation.